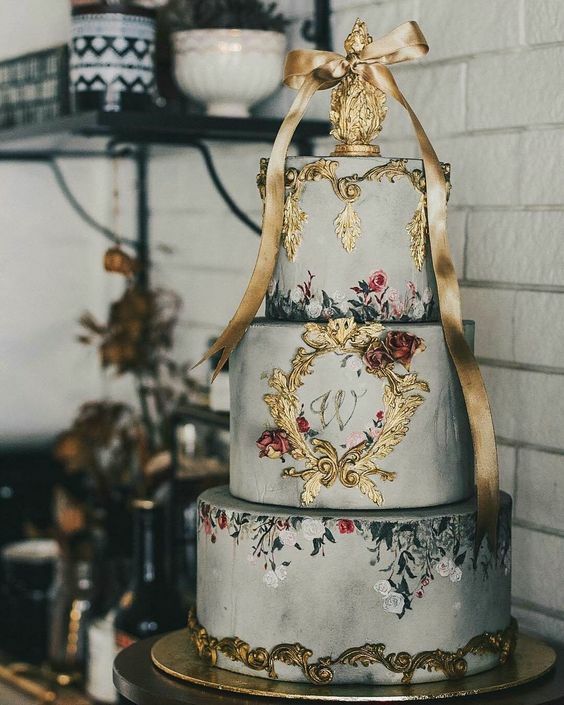 A lavish fairy tale cake with golden ornaments, an experiment with white and red roses, all symbolical for love and marriage. 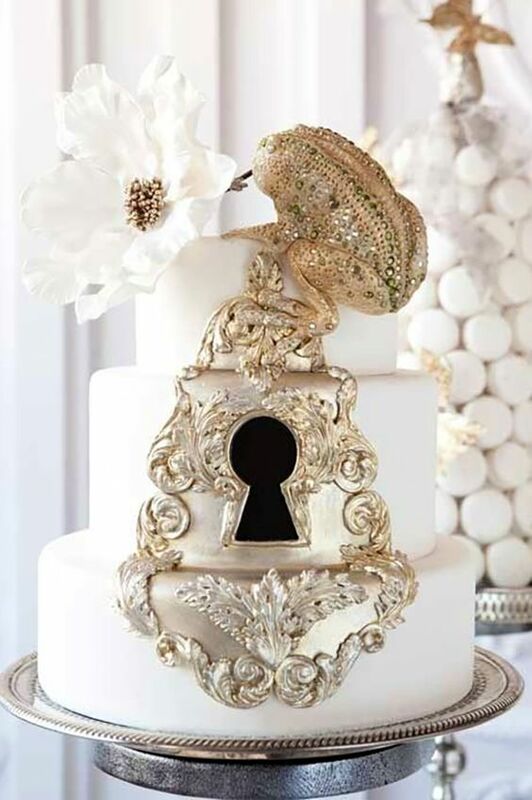 It looks like a Faberge egg, especially with the beautiful golden top and the ribbon adorning the cake like a charm. One would feel pity if they have to cut this cake. 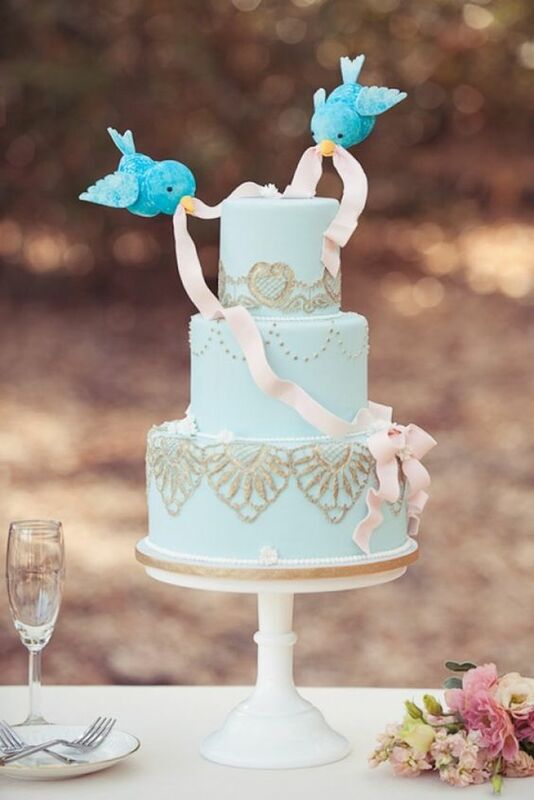 Incredibly stylish fairy tale cake, it looks as if it is taken directly from Cinderella’s wedding. 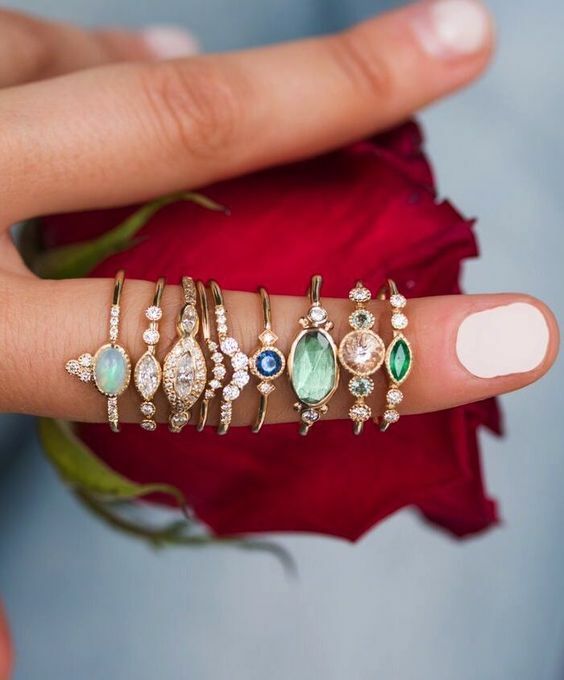 The glass slipper and the hanging jewels add perfection to this enchanting, white, sweet building of mutual love and trust, promising delight and wealth. 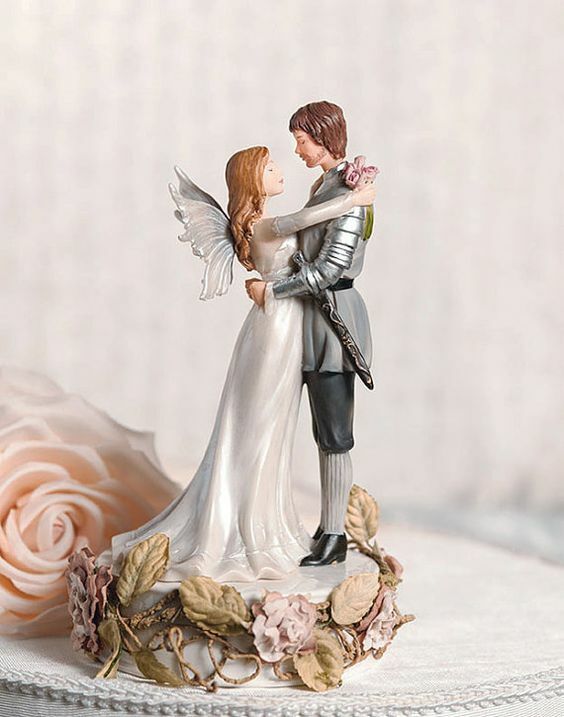 These small, enamored figurines are the perfect adornment for a wedding cake. The fairy lady has closed her eyes waiting for a blissful kiss. The lad has got a sword to defend his precious. Flowers are spilled at their feet and they are hugged in ecstasy. The key to the heart of the Frog Prince, who has to be kissed by his royal bride. 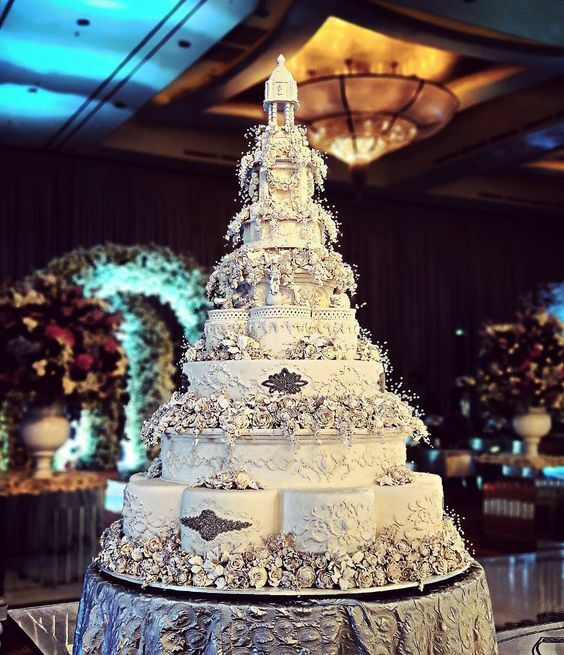 This amazing jewel of a frog can stop you in your tracks when you’re looking for a wedding fairy tale cake. 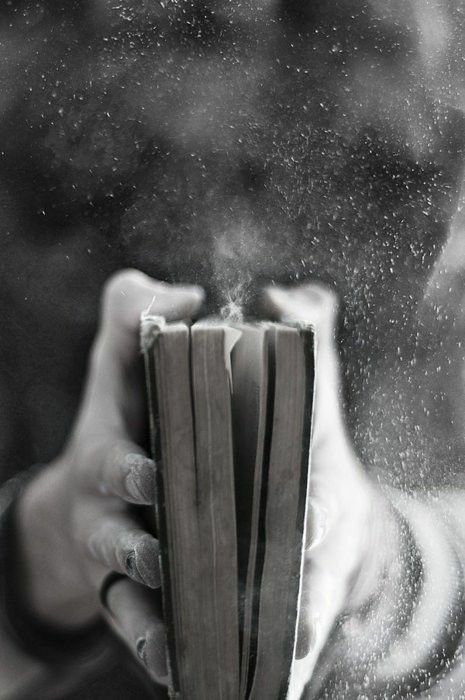 So beautiful and insane. 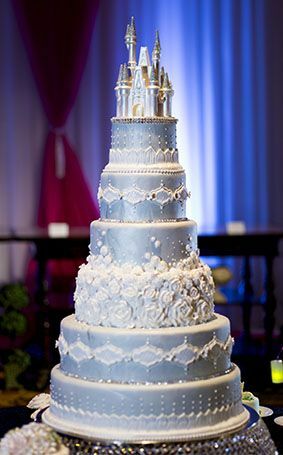 Something borrowed, something blue… People on Alpha Gem celebrate weddings all the time – and that’s one of the simpler cakes, baby blue, ornamented with white flowers. Maybe not for the royalties, but for a noble family this cake is perfectly enough. 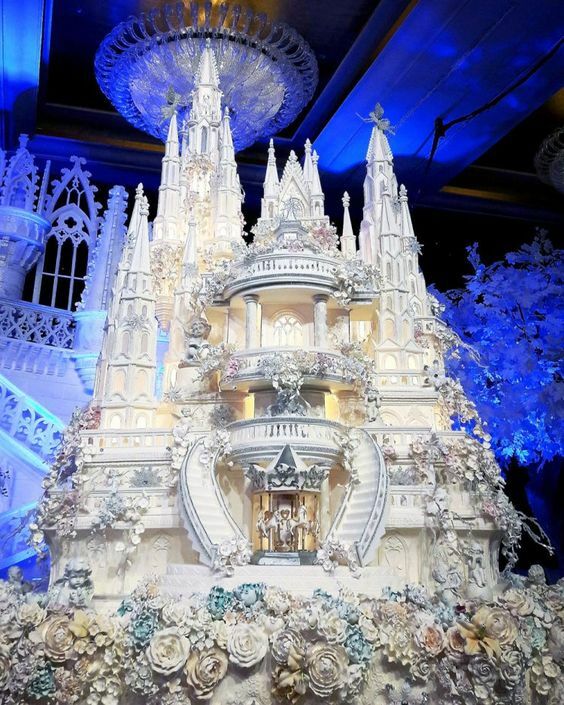 Now, this is a cake for royalties. It costs not hours but days to finish and it is perfectly adorned by what seem to be slightly fading roses. It looks as beauteous as a garden of the paradise. Flowers are spilling from the top. Wonderful ornaments add aristocratic effect to the design. This is not a cake it’s a palace, okay! Words are weak to describe this masterpiece of culinary art. It probably took ages of the time of a connoisseur chef, to make this beautiful consummation, to be consumed by an enamored couple and their rich guests.